After the Armistice in 1918, a British officer remarked, “now that this war is over, we can go back to real soldiering.” There is much truth in that statement, though perhaps not the way he intended. The war continues for its veterans even after the shooting stops – in fact, at that point their war is just beginning. One of the greatest challenges for any warrior is the return to routine. Discipline and attention to detail is seldom questioned in a war zone because survival depends on it. Back in garrison, however, discipline may seem nonsensical, appearing to emphasize minutiae merely for the sake of compliance, and placing importance on activities that are far from life or death situations. On the other hand, veterans who remain in military service, even in peacetime, continue to benefit from their accountability to the institution and the structure it provides, whether they like it or not. There is another population of veterans who, after a wartime experience, retire or are discharged. Reservists and National Guard who demobilize and return to their civilian occupations also fall within this category. Our priests and parishes can help these individuals, but they must first know something about the stress that comes from the high tempo of operations, especially since 9-11. Following a wartime deployment, a warrior may experience the after-effects of physical, emotional, and spiritual “wear and tear,” especially if they deployed multiple times and saw action. They will have undoubtedly experienced the loss of someone close, whether a buddy who died alongside them, or someone they knew who got killed. Perhaps a loved one died back at home. Even in wars fought for righteous causes, there can be moral strife and inner conflict. An individual may be critical of a leader’s decision that, in their estimation, got people killed, or of superiors who behaved unethically. Perhaps they judge themselves for not measuring-up to their own expectations their first time in battle. Everything can be a reminder – a passing garbage truck may stimulate an olfactory memory of the smell of death, or certain perfumes of the scent used to mask it. Someone whose convoy was hit by an IED may be unable to drive over the cables used to count traffic or recoil at the sound of 4th of July fireworks. Even without such triggers, placid surroundings can be met with resentment of those who never went to war. The threat from the enemy may have ceased, physical wounds healed, but the mental and spiritual scars of battle continue to fester and place veterans at risk of sickness, injury and even death. Without the camaraderie of those who shared their dangers and hardships, they might underestimate the ability of others to empathize or even care. Some may crave an adrenaline rush and find it through careless, potentially self-destructive behaviors, such as binge-drinking, substance abuse, driving under the influence, speeding, defiance of authority, and denial of love to their families and to themselves. The headlines may declare the war to have ended, the troops may come home, but the devil has not signed any capitulation and continues to attack, and in some cases defeat, our warriors. Some veterans create their own hostilities, committing acts of domestic violence including murder and suicide while others succumb to divorce, joblessness and homelessness. Various reactive measures, including interventions, may be effective in these situations, but a more proactive, pastoral approach is warranted to prevent their occurrence. The military takes care to thoroughly equip and train its personnel before sending them in harm’s way. Since 9-11, the phenomena of Combat and Operational Stress (COS) and Post-Traumatic Stress (PTS) have been matched with “stress-inoculation” and other programs designed to build resiliency long before their exposure to trauma. This includes realistic combat simulations but also the inculcation of values and skills that help them to identify dysfunction early and make them want to seek help for it. That many combat veterans, including the seriously wounded, are able to cope and lead productive lives, with their relationships intact, is proof positive that such a solid foundation can stave-off self-destruction. As Americans we care for the general welfare of all of our Armed Forces though, naturally, as Orthodox Christians we are most concerned with the lives of Orthodox service members, especially those we know. Perhaps we remember when they were baptized as “a newly enlisted warrior of Christ” – when the foundation was laid upon which to build a spiritual bulwark, never imagining that they would engage in real warfare. 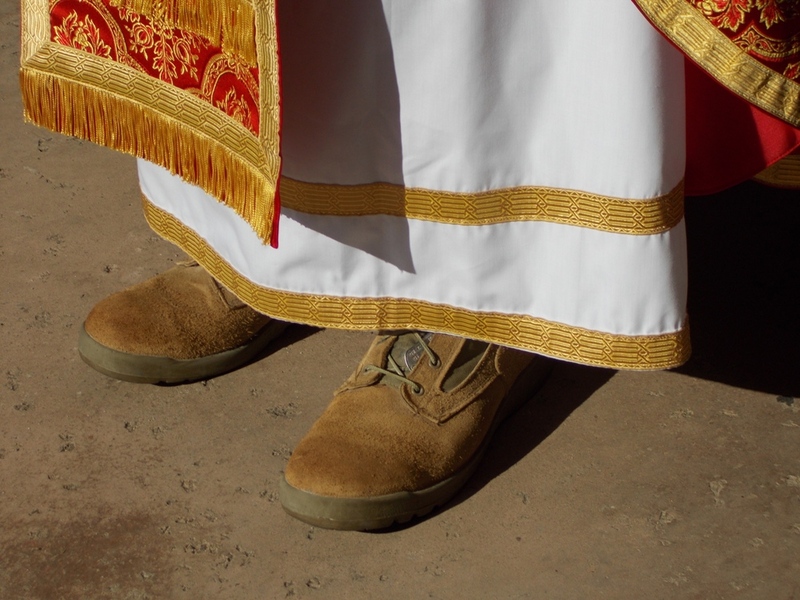 It stands to reason that parish priests must remain in contact with their spiritual sons and daughters who leave the parish to serve in the Armed Forces. It may be possible to work in tandem with a chaplain, but once those veterans return home they are solely reliant on their parish community, and it is indeed a good sign when they come to church. Priests may react to the issues veterans confide with a mixture of discomfort, horror, and even awe. Counseling them or hearing their confession is a process not to be short-circuited by abruptly absolving them when it takes too long to hear their story. They may tell it again and again. The veteran needs permission to grieve, and to perceive it not as weakness but as a sign of being real. Judgments of others may need to be reframed in a different context; “You say your lieutenant got people killed, but wasn’t it the enemy?” Priests must have the courage to speak the truth to those with the unique experiences of combat even if the priest is not a veteran himself. If need be, he may have to rebuke a hero – which takes special courage to do – for they too, fall victim to vainglory and entitlement that breeds contempt for rules. The wellness continuum means to encourage those who are well, help those who are stressed, refer those who are injured, but take the sick to the physician they need. Priests need to know their own limitations in dealing with matters more properly within the competence of the medical or mental health profession. Priests must not underestimate their unique spiritual contribution to the healing process even when those other professionals are consulted. More and more, medical professionals admit that a healthy spirituality and participation in religious activities directly correlate with a patient’s recovery. This is their general observation of all religious faiths. As Orthodox Christians we surely believe how much more effective we are as the very Body of Christ, the source of wholeness, whereby sins are remitted and the world itself is overcome. When it comes to successful reintegration of a returning veteran, the entire parish, not just the priest, is involved. Parish life can provide some of what those members had in military service that kept their lives in order: camaraderie, structure, accountability, and a mission or purpose. The sacred offices and liturgical seasons, especially the Lenten periods, can impart structure. The sacrament of confession provides accountability and guidance. And our faith – in which Christ’s victory over death redeems fallen humanity – provides the purpose and goal of life, a return to the companionship and love of God. Rejoice and be exceedingly glad, for great is your reward in heaven! Fr. Jerome Cwiklinski is a priest of the Orthodox Church in America and a retired Navy Chaplain. 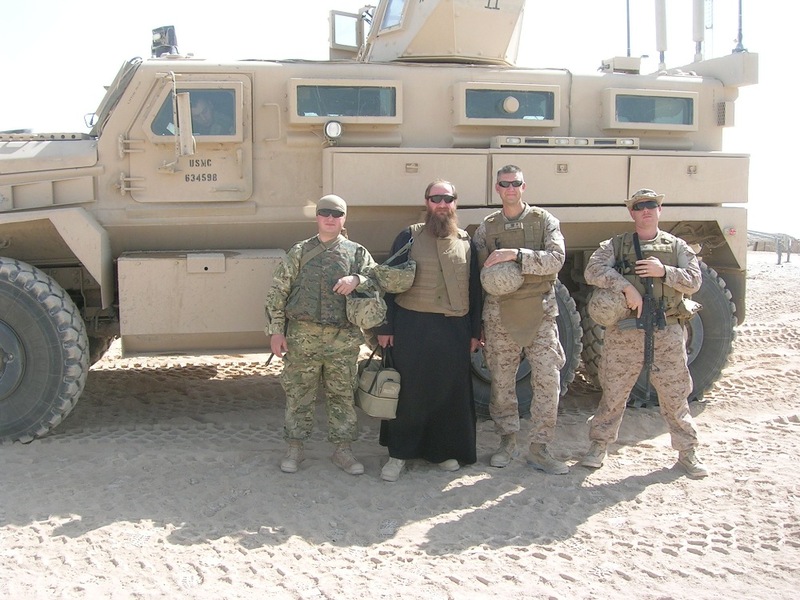 He currently serves in the Diocese of the West and provides Orthodox services at Marine Corps Recruit Depot, San Diego, and Marine Corps Air Ground Combat Center, Twenty-nine Palms, California. He is a 1986 graduate of St. Vladimir’s Orthodox Seminary.